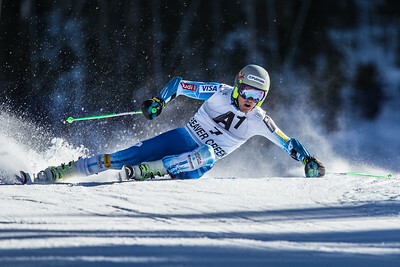 Ted Ligety demonstates finesse through the Screech Owl section of the Birds of Prey giant slalom in Beaver Creek on Sunday. 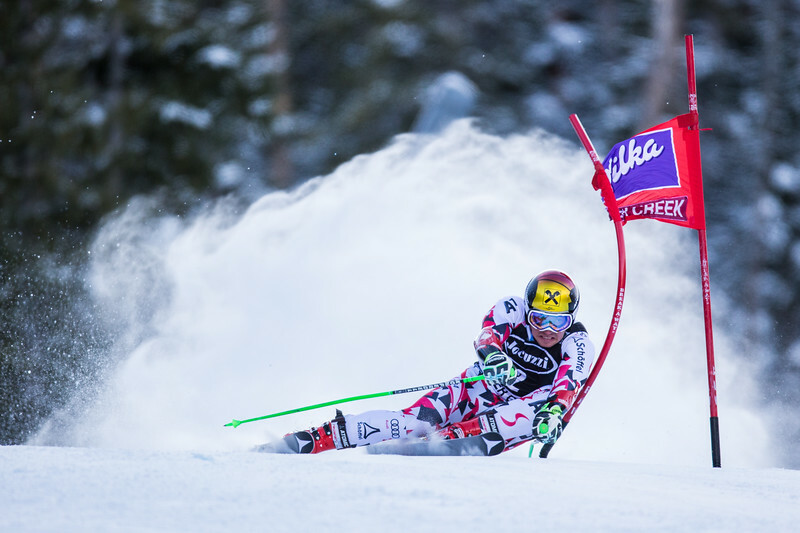 Despite a broken wrist, Ligety managed to seal his 23rd win in World Cup giant slalom.23rd win in World Cup giant slalom. A mountain biker wizzes by during the Berry Creek Bash mountain bike race in Edwards on June 10, 2015. The top section of Endo Alley recieved a new re-route, and the pirate trail above Endo Alley has been destroyed. 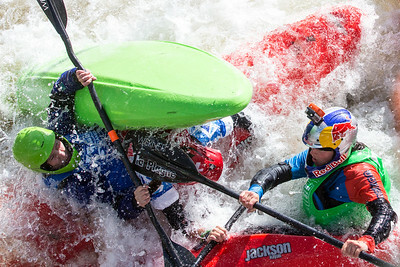 Maya Rosecrance, left, Claire O'Hara, underneath, and Noria Newman, right, get smashed and tangled together near the International Bridge while competing in the GoPro Mountain Games 8 ball full contact Kayak Sprint competition in Vail on Sunday. Coincidentally, all three of these ladies took the podium, with Noria Newman, of France, stepping to the top spot. 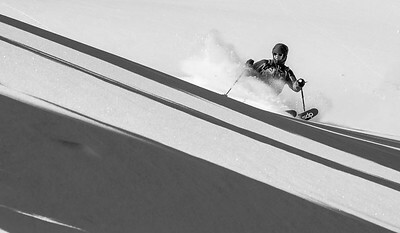 France's Johan Clarey explodes out of a turn in the Pete's Arena section of the Bird of Prey downhill course on the first day of training Wednesday in Beaver Creek. 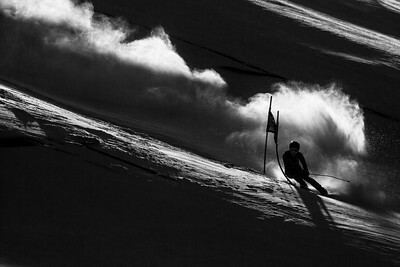 Johan placed 22nd overall in the Men's downhill held on Friday. Austria's Marcel Hirscher hugs a gate at Screetch Owl during the Birds of Prey giant slalom race on Sunday. Hirscher climbed to the top of the podium yet again to claim first place for the Austrians with a final combined time of 2 minutes, 32.58 seconds. 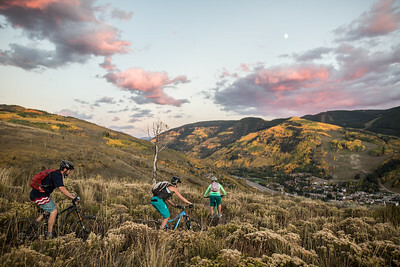 Andrew Armstrong, Jennifer Weintraub and Amy Scherm, left to right, enjoy a spectacular fall afternoon mountain biking the east section of the North Trail in Vail on Thursday. 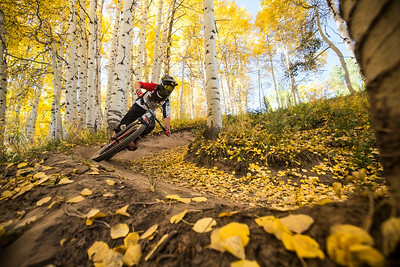 The Vail Outlier Off-Road Festival begins today through Sunday, Sept. 27, featuring both an enduro and cross country mountain bike race as well as 2016 bike and gear demos and live music throughout the weekend. 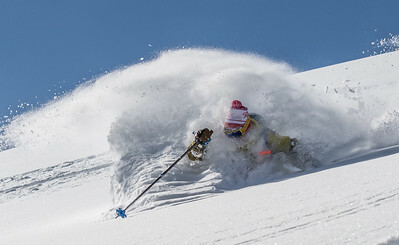 Russell White emerges from the white room during an amazingly deep Saturday on Vail Mountain. 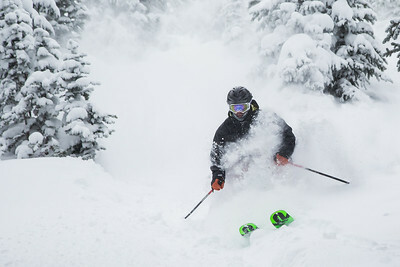 Vail reported 9 inches with snow in the forcast for the next few days. 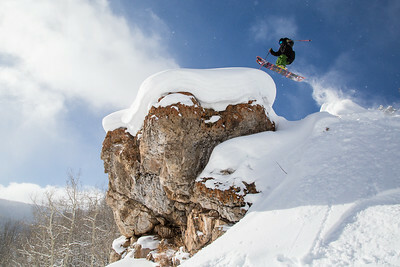 Vail Valley local Taylor Seaton gaps on to a pillowed boulder somewhere in bounds at Vail Resorts on Thursday. 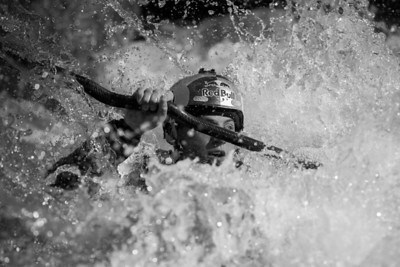 Seaton will be competing in the Apsen winter Xgames beginning on Jan. 28th. Mike Giese enters Vail mountain's Mane Lane trail with authority during stage one of the Outlier RockShox Enduro mountain bike race on Sunday. 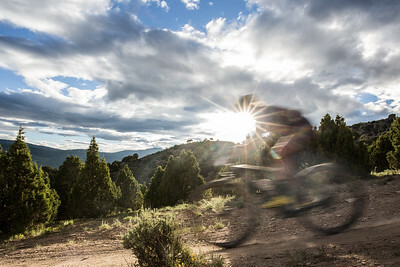 The Outlier Enduro is a three stage timed downhill race with riders attempting to post the lowest overall combined time. 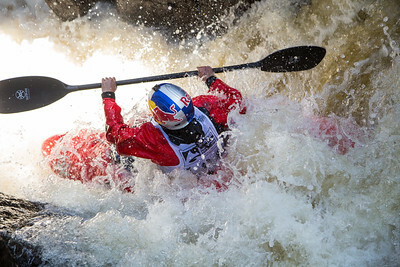 Filip Kuras, of Poland, prepares to land a fish out a section of the Eagle river in Wolcott Thursday during the FIPS Mouche World Youth Flyfishing Championship. 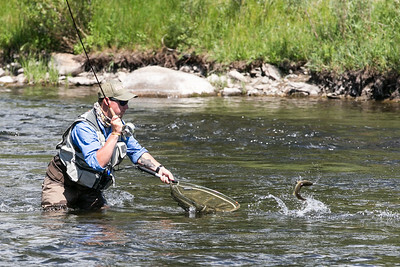 Scoring is based off of quantity and length of fish caught during five 3 hour sessions held over the course of a week. Redbull athlete Alex Mason wows the crowd with his areal moves during the Slackline Invitational Men's finals at Solaris Plaza on Sunday. Professional slackliners from all around the world competed head-to-head for $10,000 in cash prizes. Rick King finds the time to style out his stage one run in the Outlier RockShox Enduro mountain bike race Sunday on Vail Mountain. Stage one started at the top of the Eagle Bahn, taking riders down Big Mamba, lower section of Old 9 Line, Mane Lane, and finishing on the road headed toward Bwana Junction.